Absinthe Brevans is named for Jacques de Brevans, author of the French liquor-maker's manual, "La Fabrication des Liqueurs". It is based from a recipe in this book dating from 1897. 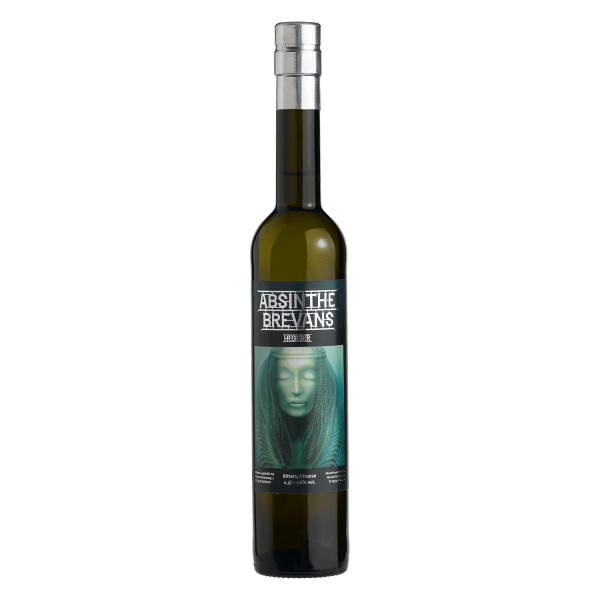 The base alcohol is a balanced mixture of wine alcohol and Grappa and the herbs used are sourced from the same region as those used by the most famous historical absinthe distillers. Absinthe Brevans is colored naturally, and only with additional plants. The result is a highly complex, authentically reproduced absinthe, worthy of the best makers of the past. Because of the instability of natural chlorophyll, this absinthe can change color over time. Likewise, the color can vary from batch to batch. This will not affect the quality of the absinthe. 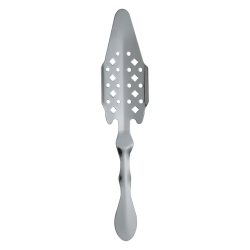 It is recommended to store this absinthe at room temperature, standing up and in the dark. Neither sugar nor any artificials are used. 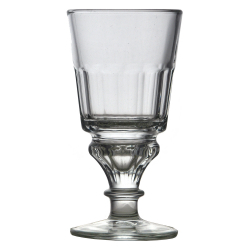 As a serving guide, mix with cold, still water at a ratio of 1 part absinthe to 2 to 5 parts water. The H.R. Giger painting on this label "Brain Salad Surgery II", was made famous in the 1970's as the cover art of the rock group Emerson, Lake and Palmer's album of the same name. Along with "Brain Salad Surgery I", the two original paintings were stolen in 2005, after a exposition held in Prague. A reward of $5,000 US, plus a fully paid weekend at the H.R. Giger museum, has been offered for information leading to the location and return of these two important works of art. 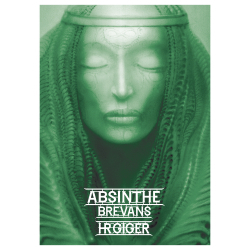 Related links to "Absinthe Brevans H.R. Giger"
Customer evaluation for "Absinthe Brevans H.R. Giger"
Selten habe ich einen derart authentischen Absinthe kennen gelernt. Nun muß man natürlich sagen, daß das hier wiedermal ein Meisterwerk von Oliver Matter und Markus Lion ist, die sich ja immer wieder neue Sachen einfallen lassen und damit den Absinthemarkt ordentlich aufmischen. Ich bin begeistert!